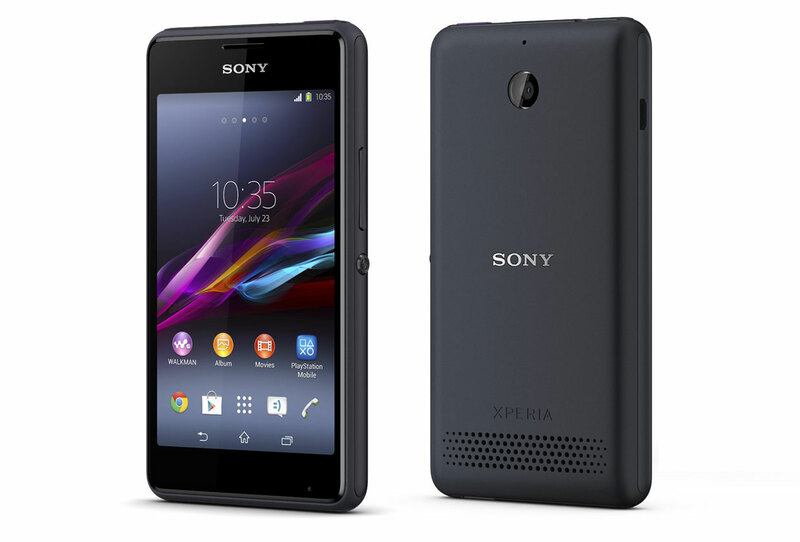 Presenting the world's best smartphone in its class, the Sony Xperia E1. 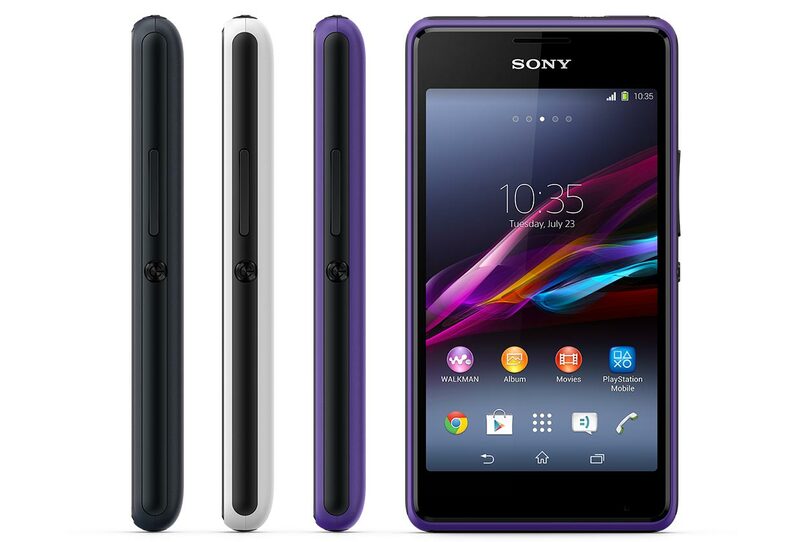 The Sony Xperia E1 features a bold design, a large display and a smart and super loud smartphone experience. 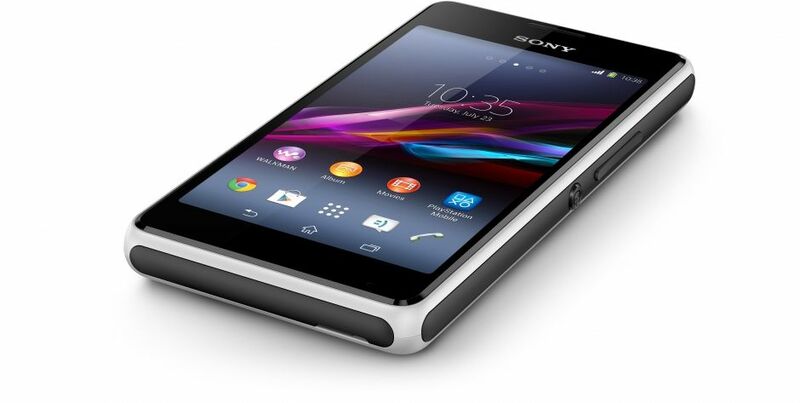 Built for your active lifestyle, the Xperia E1 features Sony’s signature design. 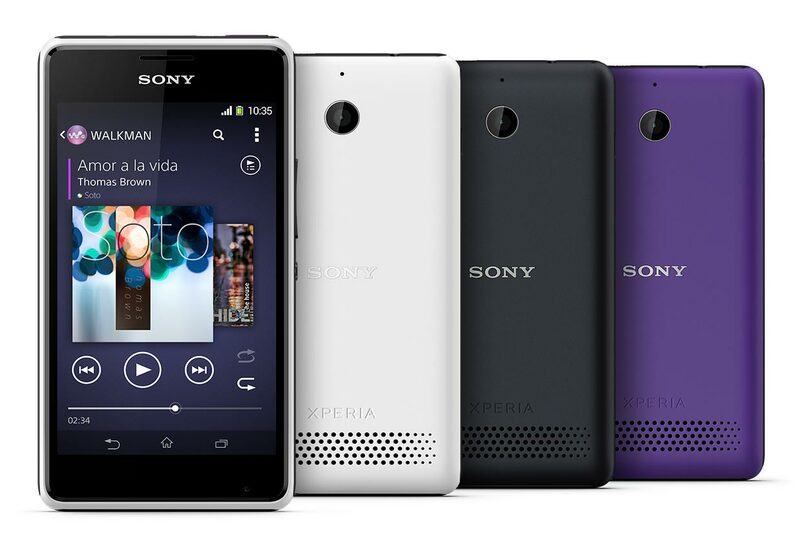 It welcomes you into the world of smartphones with its exclusive Walkman™ music experience, premium-feel interface, lightning fast processor and long-life battery. 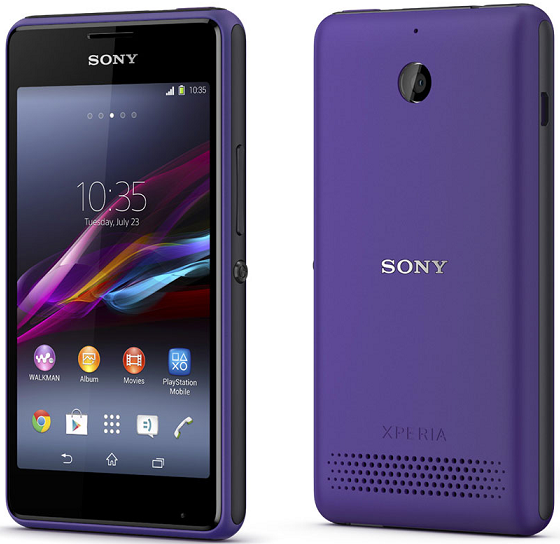 Experience the full Sony smartphone experience with the Sony Xperia E1. 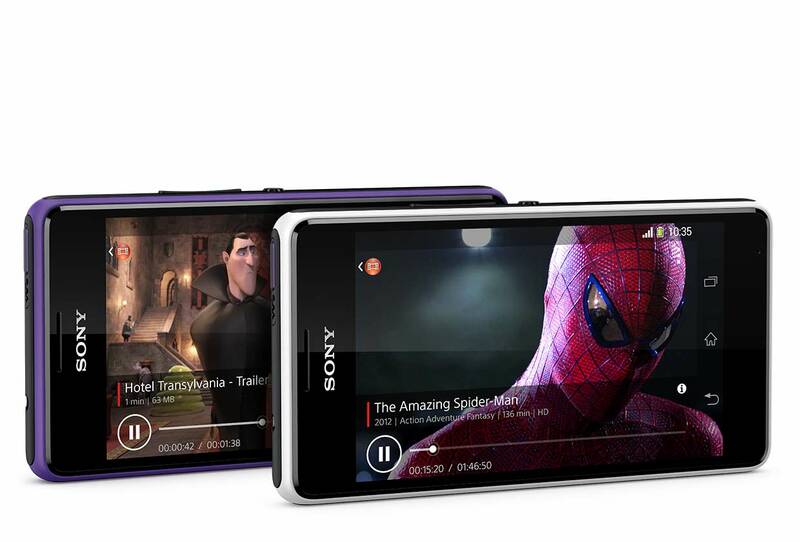 Crisp, lifelike colours and sharp images – the Xperia E1‘s display is built on the same expertise that brought you Sony TVs. The large four-inch WVGA display boasts a resolution of 800×480 pixels. The dual core 1.2 GHz processor gives your music phone top performance and speed without draining your battery. 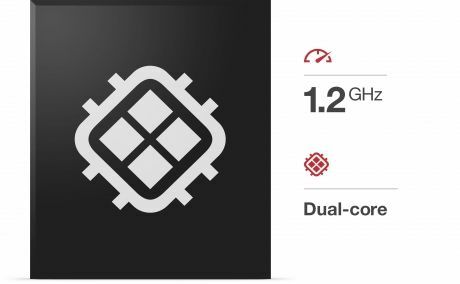 The processor is asynchronous, which means each core is powered up and down independently. 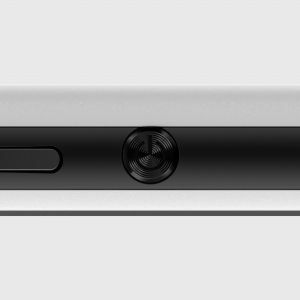 You get the exact amount of power when you need it, without wasting power when you don’t. The “Walkman” app lets you play, share your favourite tracks, create playlists and combine your online and offline music in one view. And with Shake control, changing your tune is as easy as pie. Just press and hold the Walkman key. Then shake the phone to shuffle your tunes. If you want to get the party started, there’s no better way than to play your music out loud. 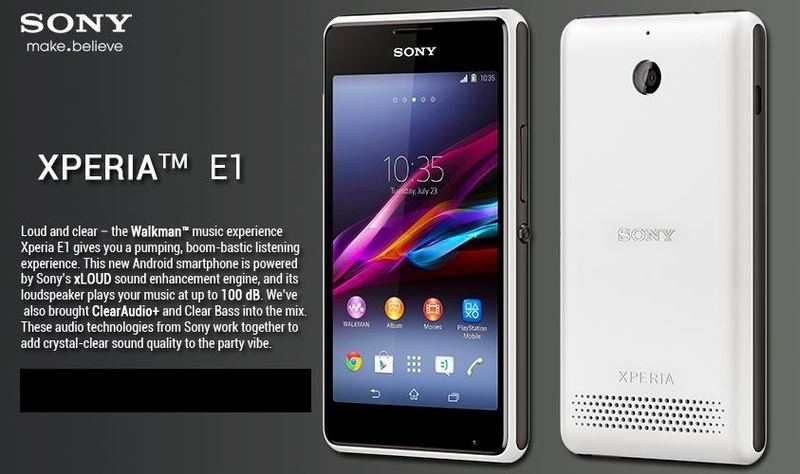 Your Xperia E1 comes equipped with a big loudspeaker, capable of playing your music at up to 100 decibels. And with Clear Audio technologies – Clear Stereo, Clear Bass and Clear Phase – Sony sound engineers figured out how to minimise distortion and restore balance and clarity to your tracks. 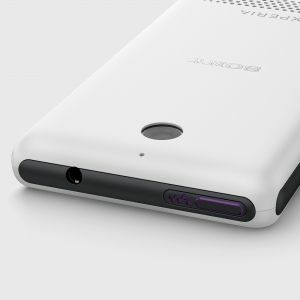 Your music phone automatically selects the best audio quality settings. 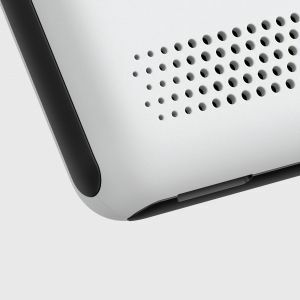 So sit back and chill, tap your feet or get up and boogie – and just enjoy your favourite music in soul shaking clarity.